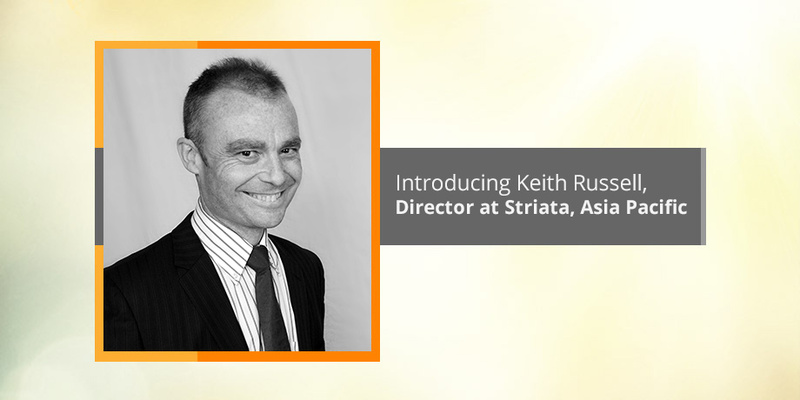 In this post in our blog series where we shine the spotlight on our executive staff members, we introduce you to another passionate digital professional, Keith Russell, Director at Striata, Asia Pacific. Though I studied Physics at university, since graduating, I’ve always worked in IT. Starting with British Gas as a Business Analyst and then moving to a mobile phone billing company (when mobile phones were still the size of briefcases! ), maybe it was inevitable that I’d end up at Striata, were a lot of our business is in eBilling for telcos and utilities. The big step that put me in the position to help Striata was my move to Hong Kong (HK) in 1995, where I picked up the experience of servicing, managing and selling to Asian clients. It was this role that eventually led me to Striata. Since joining, the company has grown significantly, with the expansion of the international teams and the move into different, but related solutions. Whilst the core eBilling, eStatement, and eMarketing solutions continue to be developed and enhanced, innovative solutions like the Secure Document Repository add new strings to Striata’s bow, and add real value to our proposition. In addition to this, our sales pitch has changed subtly – no longer is it only cost savings over paper bills/statements, but now incorporates more security and customer digital experience elements. A (relative) constant over my 9 years with Striata is the staff. While we’ve lost some, often to see them return as ‘boomerangs’, a very large proportion have been with the company for longer than me and this provides a degree of stability that is unusual in any company, large or small. Also the corporate culture remains the same – the approachability of the management team, the “let’s get it done” attitude at all levels and the propensity for all staff to chill out over a few beers in the office – one Friday of each month – all makes Striata a great place to work. Working with a smart, dedicated team whom you can rely on is probably the best aspect of working at Striata. Probably 80/20 for electronic bills. It would be more, but I can’t bring myself to register for eBills/eStatements from companies that are in my sales pipeline. It would make them believe that their existing solution is good enough! Certain HK government bills are only available in paper form and some shares/security statements are also only available via post. All! The majority (i.e. when it’s available) are through autopay and the others are paid via the PPS service in HK. Keith Russell is the Director of Striata Asia-Pacific. Keith has over 20 years experience in the IT industry, moving from software development and analysis roles into Sales and Account Management. Keith started his career with British Gas and worked for 8 years in the Billing and Systems departments in Edinburgh and London. 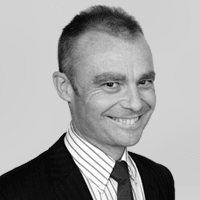 Keith moved to Hong Kong in 1995, where he worked for a further 8 years in business development in the Telecoms billing field for KSCL and Convergys. Prior to joining Striata in 2008, Keith was Asian Business Development Manager for Mobiqa, a mobile-phone ticketing company, and Director of Red Bridge Consulting, an international business development consultancy based in Hong Kong. Keith has an Honours Degree in Physics from Heriot Watt University, Edinburgh, and is a member of Mensa.